The Genuine Lock Co Locksmiths, based in Gravesend, Kent specialising in providing security and access solutions for all commercial & residential properties. We can provide master key systems for landlords and property owners for offices, rented accommodation, sheltered housing, schools, commercial premises etc. 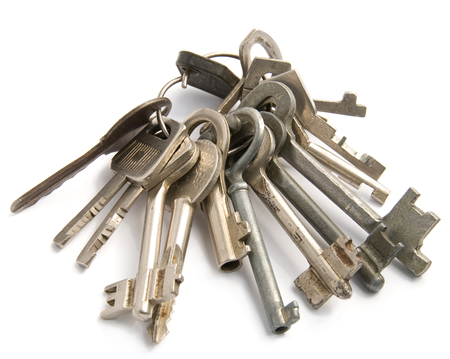 Master keys can also be supplied for padlocks, storage units and display cabinets etc. Master key systems are very flexible and can provide complete and controlled access for landlords, property owners and property managers. Master keys can be used on a wide range of locks. Ideal for landlords or housing development and commercial property managers, keys can be created to allow controlled access to either specific, limited or indeed all areas. For example - Housing tenants could be provided with individual keys to their accommodation including a main ground floor door. Individual properties could be divided into groups or floors with sub master keys created to provide access to all relevant cleaning cupboards, storage rooms or communal areas. An overall master key could be made to fit all locks providing complete access to all areas. We can also supply registered and restricted keys for various locks which can only be obtained by an owner, manager of other nominated person. Such keys ensure that temporary keys cannot be copied which could compromise security. The Genuine Lock Co Locksmiths also supply High Security Key Systems featuring pin tumbler type keys such as (Yale), which offer added security features such as anti pick, anti drill, anti bump and anti snap. Replacement lock cylinders can be supplied with various levels of security from basic lock types with around 10,000 different keys to very high security cylinder types with billions, eliminating the risk of anyone finding a key to fit your locks. For total peace of mind when it comes to the security of your property, call The Genuine Lock Co Locksmiths Kent.